Everything we know about Sam and Phoebe Burgess' rumoured split. Everything we know about the reports that Sam and Phoebe Burgess’ marriage is over. Three years after their Bowral wedding in the NSW’s Southern Highlands, Sam and Phoebe Burgess have reportedly separated. Initially it was an Instagram photo shared on Christmas Day by Sam’s sister-in-law that sparked rumours of a marriage breakdown. The 30-year-old was in attendance without his wife, who had given birth just two weeks earlier to a baby boy. 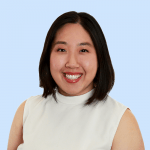 When Phoebe later changed her Facebook photo from a photo of her and the Rabbitoh’s player at their wedding, to a solo picture of herself, the Sydney Morning Herald used it as more evidence of the break up. 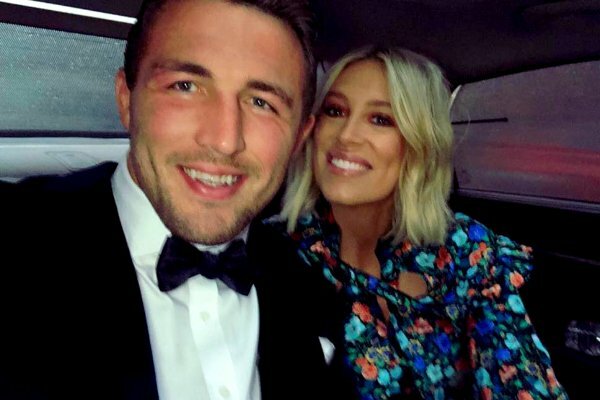 Now, however, reports in the Sunday Telegraph say Phoebe and Sam Burgess’ marriage was strained from their wedding day. Tensions between the Burgess and Hooke families began to show when Phoebe’s father, Mitch Hooke, reportedly told Sam’s brother, Luke Burgess, to ‘shoosh’ during his best man’s speech. The publication also reported a fight between Sam, his friend and Roosters player, Luke Keary, and Phoebe’s brother-in-law, Gene Fairbanks, who is a retired rugby union player. Apparently the disagreements from the wedding celebrations also caused the couple to cancel their ‘recovery session’ which had been scheduled for the following day. Although neither party have confirmed rumours of their split, it’s been widely reported Sam and Phoebe are no longer living together. The Daily Mail published photos of Phoebe’s mother, Sarah Hooke, arriving at the couple’s $3.8 million home in Sydney’s beachside suburb of Maroubra, where they say Phoebe is staying with her sister, Jemima Fairbanks and her husband Gene. Meanwhile, Sam is said to be keeping a low profile while taking sanctuary in the Nana Glen home of actor and Rabbitoh’s co-owner, Russel Crowe, as reported by the Daily Telegraph. The NRL player reportedly became friends with the Gladiator actor after he signed on to play with the team in 2010, and stayed at the property from Christmas to New Year’s Eve and returned to the property this weekend. 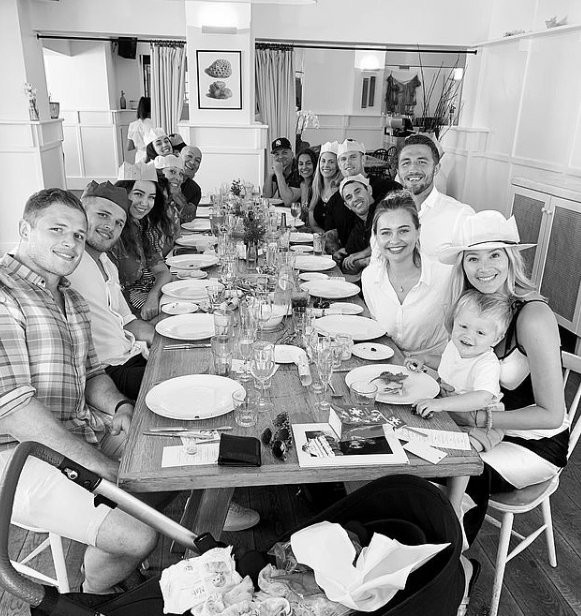 On Christmas Day, Joanna Burgess, the wife of Sam’s brother George, shared a photo of the family on her Instagram with the caption ‘Chrissy Crew’. She also added, ‘best one yet,’ which many have taken to be a swipe at Phoebe, who was not in attendance. 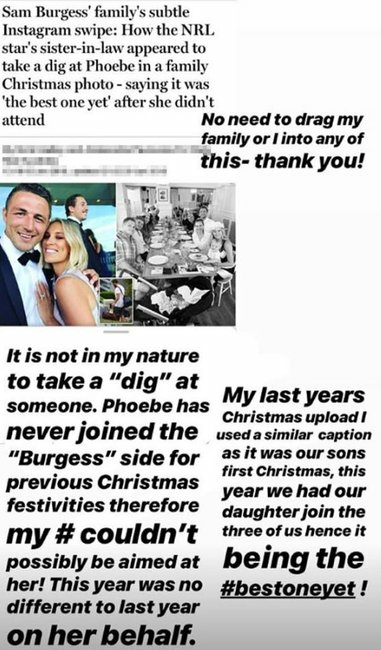 However, Joanna has since posted on Instagram to clarify that nothing about the photo was aimed at Phoebe, explaining "Phoebe has never joined the Burgess side for previous Christmas festivities therefore [the post] couldn&apos;t possibly be aimed at her!" "My last years Christmas upload I used a similar caption as it was our sons first Christmas, this year we had our daughter join the three of us hence it being the #bestoneyet!" It&apos;s undoubtedly a trying time for both the Burgess and Hooke families. What do you think of the rumours of Sam and Phoebe Burgess&apos; split? Tell us in a comment below.